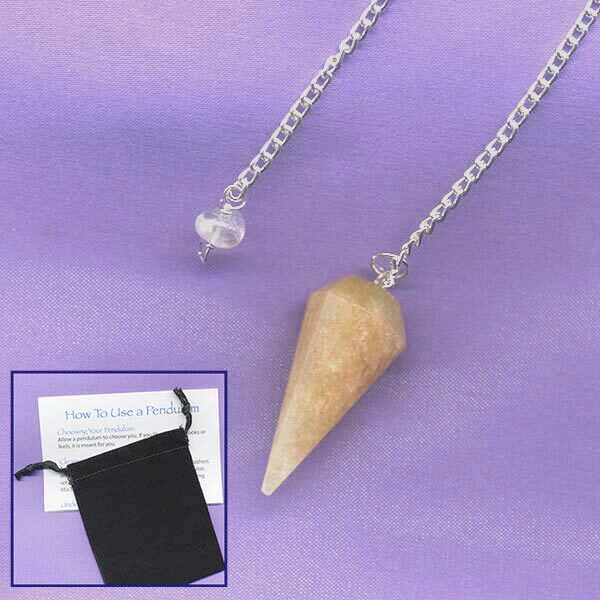 Quartz Sphere Pendulum with detachable chain and Quartz End Bead. 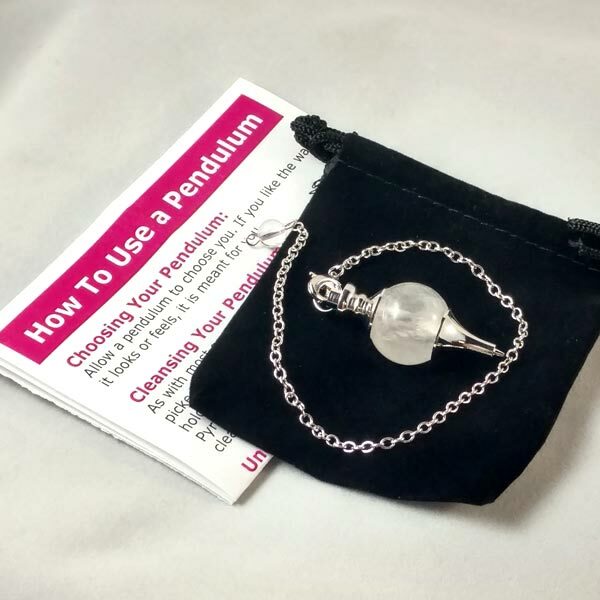 Size: Quartz Sphere is 3/4"" in diameter, pendulum is 1-7/8" tall and overall, length with chain is 10-1/2". 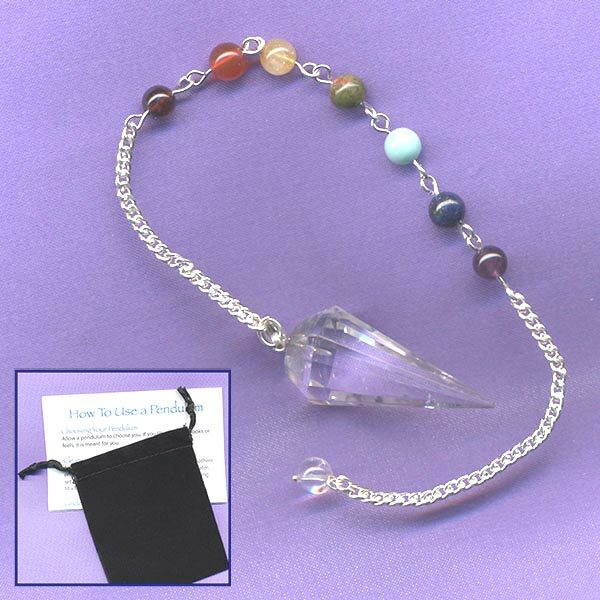 Beautifully faceted Quartz Pendulum with seven Chakra Gemstone Beads and Quartz End Bead. The 6mm Chakra beads are: Garnet, Carnelian, Citrine, Unakite, Blue Lace Agate, Lapis Lazuli and Amethyst. Size: 5/8" in diameter, 1-1/2" tall and overal length is 10-1/2". Velvet pouch and basic instruction sheet included. 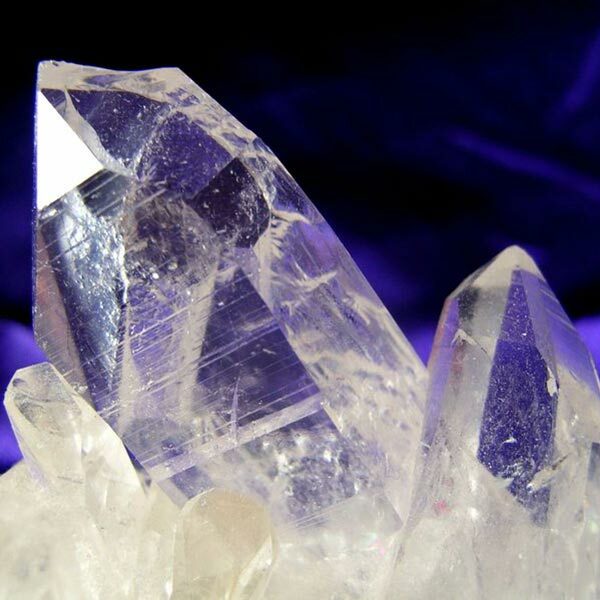 Golden Quartz gets its color from being stained internally with yellow iron oxide. 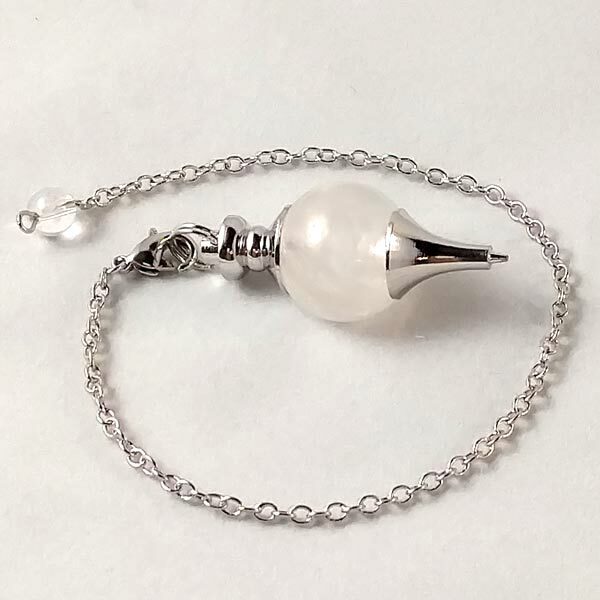 Size: 1/2" in diameter, 1-1/2" tall and has 7" silvertone chain with Quartz gemstone on end. Overall length is 8".